Piano B architetti associati was established in 2010. In it converge personal and professional experiences developed in an international context, especially in Great Britain, France, Germany, Spain, Kuwait and China. Our passion for architecture and our meticulous pursuit of quality in the design process guide us to personally follow each project at all stages. In order to achieve the goals that we set and to meet appropriately the different needs of the clients, we pursue a constant research activities carried on through both professional work and academic activities. All studio partners have acquired a PhD or are engaged in order to achieve it. The range of services we offer spans from interior design, and small architecture projects, to urban planning at all design stages. Strong of a long experience we constitute a dynamic structure open to interdisciplinary exchange and cooperation with other professional figures who share our values. Actively collaborating with other studios for design and engineering we take part in public calls for tenders and private design projects. Plan B Associates Architects was founded in 2010 by Sergio Cherubini, Leonardo Mayol, Giorgio Pasqualini and David Paterna. In 2012 Sergio Cherubini and Leonardo Mayol have interrupted their participation in the association. From 2013 Gaia Maria Lombardo is associated. 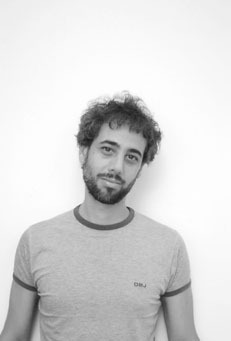 Davide studied architecture in Rome and Paris, graduating in 2004 and he is continuing his post-graduate education with a PhD in Theory of Architecture at the University of Rome “La Sapienza”. Before founding Piano B in 2010, he worked mainly in architectural firms oriented on research projects in Paris and Madrid. He is interested in urban planning, in particular the study of the city as an expression of the changes taking place in contemporary society. He is also president of the non-profit association Open City Roma and director of Open House Rome, an event that is part of the international network Open House World Wide and to which adhere 19 cities in the world. Gaia graduated in Architecture at the University “La Sapienza” of Rome in 2003, after having spent a period of study at the polytechnic “RWTH” in Aachen, Germany. In 2009 she completed a PhD in Architectural Composition and Architectural Theory at the same university, with a thesis entitled “The traditional Japanese spatial concepts in the contemporary interpretation: “ma, en and oku in the Kazuyo Sejima e Ryue Nishizawa architecture”. In 2004 she collaborated with the architecture studio “Nemesi” in Rome. 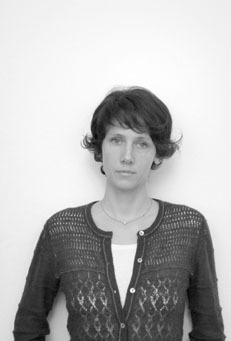 From 2005 to 2012 she collaborated with the architecture studio “Labics”, also in Rome, where she held a position of responsibility in the conceptual processing of the projects and in their subsequent stages of development. In 2012 she started collaborating with Piano B, becoming a partner in 2013. Giorgio studied at the Faculty of Architecture of the University of Rome “La Sapienza” and at the Ecole d’Architecture de Versailles, graduating in Rome in 2004. In 2012 he achieved a PhD in “Architecture-Theory and Design” at the Faculty of Architecture of the University of Rome La Sapienza. The study, which focused on the symbolic signification of space in traditional and contemporary Japanese architecture, is part of the larger sphere of interests concerning the relationship between nature and artefact in architectural design. 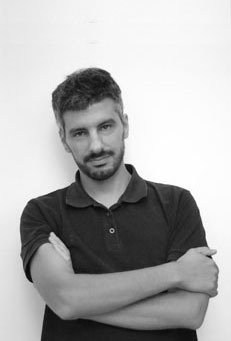 From 2004 to 2008 he worked with the “Labics” architecture studio in Rome, for whom he directed many international competitions as a project leader. In 2010, he founded Piano B, an architecture studio that in 2011 was selected to participate in the prestigious alliance of FG Tecnopolo. At PBAA we believe in a policy of equal opportunities for each of our job applicants, irrespective of race, nationality, gender, sexual orientation, age, marital status, disability or religion. We have signed partnership agreements with the Poznan University of Technology and with the Bucharest University Ion Mincu to welcome every year foreign students in our office through the Lifelong Learning Programme.